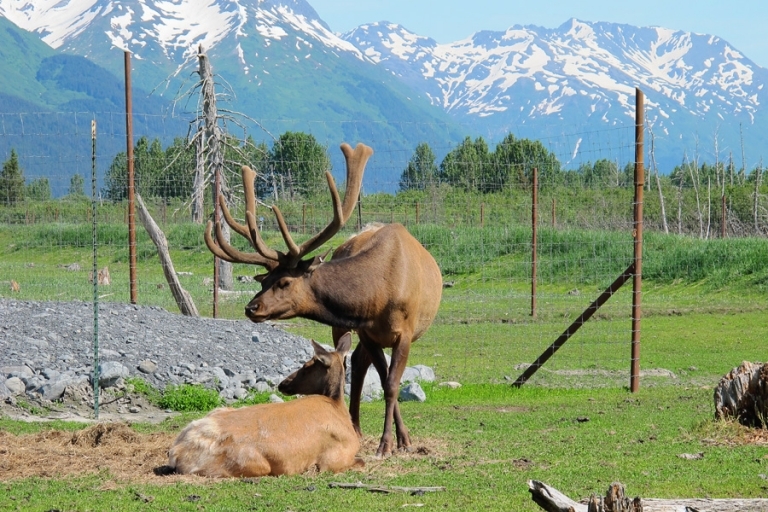 If you travel to Alaska but don’t happen to spot a bear or a moose in the wild, just stop by the Alaska Wildlife Conservation Center (AWCC) in Girdwood for an opportunity to view these beautiful animals up close. AWCC takes in injured and orphaned animals and cares for them, and if an animal cannot be released into the wild post-treatment, they remain at the center as their permanent home. (That said, keep in mind that some animals might not be “on display” at certain points of the year – it’s not the same as a zoo.) The animals roam freely in large enclosures where you can easily view them and their natural behaviors. Some animals even get up pretty close! 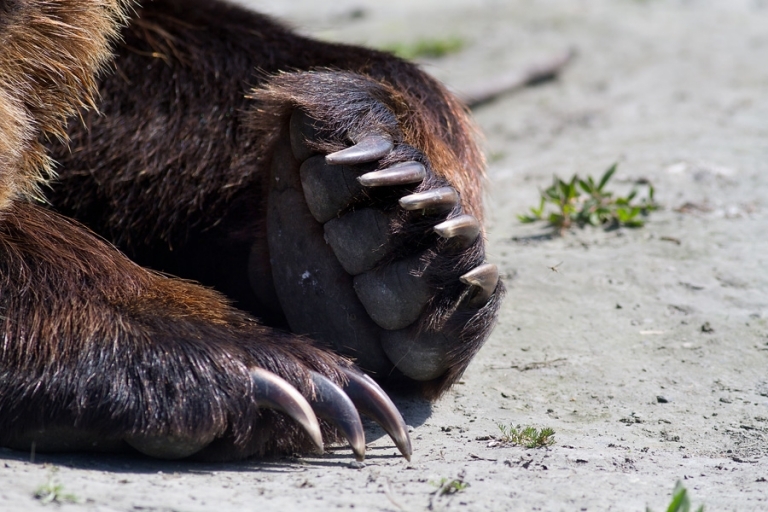 Several different species inhabit the center at any given time, including moose, elk, caribou, bald eagles, oxes, bison, and bears, both black and brown. 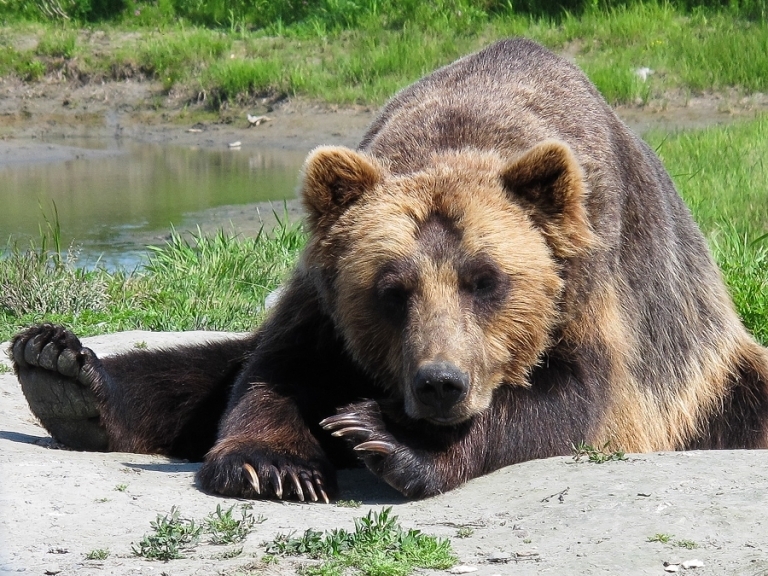 We saw most of these animals, but I became obsessed with the expressive brown bears. Chris and I rented a 400mm f/5.6L lens for the trip, and it was almost too long for photographing the animals because we were so close! So it’s a great opportunity for everyone with all types of cameras to get National Geographic-style wildlife shots. You can focus your camera lens through the fence to get an unobstructed shot, and go home with some impressive wildlife photos to show off! Admission was $12.50 each, and we spent about an hour walking around and taking photos. There is a visitor center with facilities, gifts and snacks, where we purchased a couple of waters. The walkways are natural, dusty paths, so be prepared with appropriate footwear. Most of these images were taken with an SLR, but some were with the point-and-shoot. I’ve included a few shots of the fencing so you get a feel for the enclosures and what to expect. Like I mentioned, it’s not a fancy zoo – it’s a conservation effort meant to keep with the natural feel of the wild. We ended up at the center midday and it was warm and sunny, but also contrasty lighting. I’d recommend going a little earlier in the day for better lighting and maybe more activity from the animals. 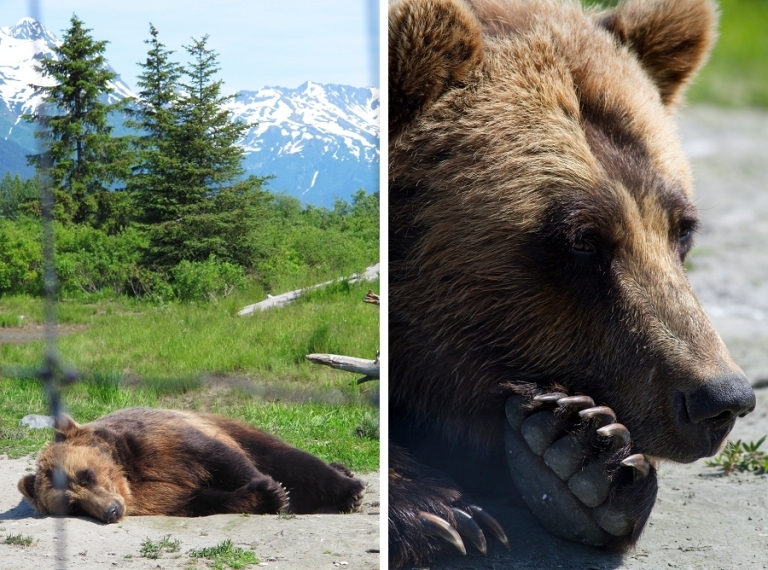 When we visited many of the animals were happily resting, but some were also active and playful. Either way, we enjoyed it!